Governor John Kitzhaber recently told a panel of newspaper editors that he supports the legalization of marijuana in Oregon for recreational purposes. The state has already decriminalized possession and approved the drug for medicinal uses, and a recent statewide poll indicated that 57 percent of likely voters this year support full-scale legalization. 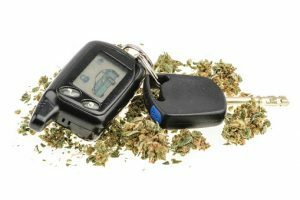 What our accident attorneys in Portland find concerning is that these revelations come on the heels of findings that indicate fatal crashes involving drivers who consumed pot have tripled in the last decade. The study, released by Columbia University’s Mailman School of Public Health, researched the number of drivers involved in fatal crashes who had marijuana detected in their systems. Researchers analyzed data from some 24,000 drivers who died within one hour of a wreck between 1999 and 2010. What they found that was as a contributing factor, alcohol remained fairly steady throughout the decade -present in the systems of about 40 percent of deceased drivers. But drugs, however, played an increasingly significant role. In 1999, they were present in 16 percent of all drivers’ systems. By 2010, that figure had soared to 28 percent. With regard specifically to marijuana, the drug was found in about 4 percent of deceased drivers’ systems in 1999. Fast-forward to 2010, and it was found in approximately 12 percent of deceased drivers’ blood streams. Granted, the presence of THC in one’s system doesn’t necessarily prove intoxication because the active ingredient is known to linger in a person’s body for days or weeks after consumption. However, too often we hear about users or advocates who downplay the dangers of marijuana consumption by drivers. The reality is that driving while stoned is extremely dangerous. Canadian researchers studying some 50,000 crashes found that those who drove within three hours of smoking marijuana were twice as likely to be involved in a crash resulting in serious injury or death as those who drove sober. Now consider that about 4 percent of the American population (that’s 11 million people) have conceded to driving while under the influence of a substance other than alcohol. Most usually, that other substance is marijuana. When drivers combine the use of marijuana and alcohol, the effects are often deadly. The Columbia University researchers found that in these instances, the risk of a fatal crash increased 24-fold. How much marijuana is needed to be considered legally impaired? Whether the humorous ads will be effective remains to be seen. We do know that historically, police have had a tougher time proving marijuana intoxication than alcohol impairment. Oregon has one of the toughest marijuana DUI laws on the books. Or. Rev. Stat. Ann. 813.010 holds that any amount of marijuana in a driver’s blood or urine can establish that he or she was under the influence. Strong measures like this can help to serve as a deterrent, particularly when legalization seems likely. Aggressive enforcement will be key.